The Trump administration is preparing an executive order regarding U.S. drug costs, which may express support for value-based agreements via which drug companies and health insurers make arrangements to pay for products depending on how well they work, Bloomberg reported yesterday afternoon, citing people familiar with the matter. A first executive order on drug prices may come out soon, followed by a second, more extensive one later, sources told the news service. Top health and budget officials in the administration will meet today to discuss the issue, according to the people, who asked not to be identified because the session is private. Trump sought recommendations from the nation’s health agencies on reducing medication costs, Health and Human Services Secretary Tom Price told senators last week. 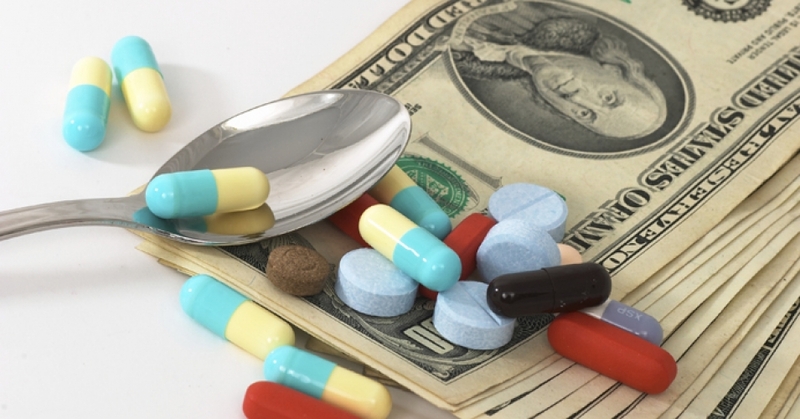 Unlike other advanced economies, the U.S. doesn’t directly regulate medicine prices. The pricing system is opaque, with list prices set by drugmakers and rebates negotiated in private with intermediaries like PBMs. The industry wants the government to modify the law so that companies can reach more value-based payment agreements, whereby reimbursements are based on a drug’s results. Swiss pharma giant Novartis AG has such a “pay-for-performance” plan in place for heart failure treatment #Entresto, in which insurers pay more if the drug keeps patients out of the hospital and lowers associated costs. Another idea discussed by the industry would allow insurers to pay by increments for very expensive drugs that essentially cure diseases. The president has threatened on several occasions to force drugmakers to bid for government business as a way to reduce prices. He’s also talked about letting consumers import drugs from other countries with lower prices. Neither of those policies, which would likely require a change in law to be implemented in a meaningful way, are in drafts of the orders, according to one person familiar with the effort. Publicly traded large-cap drugmakers include AstraZeneca (AZN), Bristol-Myers (BMY), Eli Lilly (LLY), GlaxoSmithKline (GSK), Johnson & Johnson (JNJ), Merck (MRK), Novartis (NVS), Pfizer (PFE), Roche (RHHBY) and Sanofi (SNY). To read stories similar to this, sign up for a free trial membership to Stockwinners; be sure to check the Market Radar section. The article does not constitute investment advice. Each reader is encouraged to consult with his or her individual financial professional and any action a reader takes as a result of information presented here is his or her own responsibility. Nestle (NSRGY) to explore strategic options for its US confectionery business, including a potential sale. The review covers the US market only and is expected to be completed by the end of this year. Nestle’s US confectionery business had sales of around CHF 900M in 2016. It primarily includes popular local chocolate brands such as #Butterfinger, #BabyRuth, 100Grand, SkinnyCow, Raisinets, Chunky, OhHenry! and SnoCaps, as well as local sugar brands such as SweeTarts, #LaffyTaffy, Nerds, FunDip, PixyStix, Gobstopper, BottleCaps, Spree and Runts. It also comprises the international chocolate brand #Crunch. The strategic review does not cover Nestle’s Toll House baking products, a strategic growth brand which the company will continue to develop in the US market. Nestle remains fully committed to growing its leading international confectionery activities around the world, particularly its global brand #KitKat. Nestle’s global confectionery sales amounted to CHF 8.8B in 2016. Potential buyers include Hershey’s (HSY), Carlisle Group Kraft-Heinz (KHC), and Warren Buffett’s Berkshire Hathaway (BRK-B). Adamis Pharmaceuticals (ADMP) announced that the U.S. Food and Drug Administration has approved Adamis’ Epinephrin Injenction, USP, 1:1000 for the emergency treatment of allergic reactions including anaphylaxis. The FDA has also approved the PFS trade name of #Symjepi. Symjepi provides two single dose syringes of epinephrine, which is considered the drug of choice for immediate administration in acute anaphylactic reactions to insect stings or bites, allergic reaction to foods, drugs and other allergens, as well as idiopathic or exercise-induced anaphylaxis. With disruption seen in the automotive market amid the development of connected and autonomous vehicle technology, Piper Jaffray analyst Alexander Potter said he expects the trucking sector to follow suit, leaving Wabco Holdings (WBC) as the only truck stock that he views as worth owning. As tech companies develop self-driving technology, Tesla (TSLA) and Amazon (AMZN) are making moves that analysts believe could potentially disrupt the trucking space. Meanwhile in December, Amazon was said to be developing an app, expected to launch this summer, which will connect truckers and shippers in much the same way that Uber connects drivers and riders. Piper’s Potter raised his price target for Wabco shares to $143 from $129 in a note to investors this morning, saying the company’s upcoming analyst day should illuminate the point that it will benefit, not be disrupted by, secular trends in the industry. 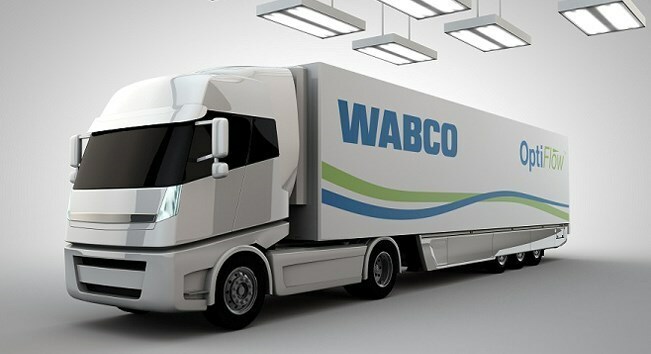 A tech company with autonomous truck ambitions could buy Wabco and then use its “dominant position” in braking/stability control to drive standardization around a suite of self-driving algorithms, the analyst argues. However, technology companies might not consider purchasing Wabco as they have often preferred to partner with automotive suppliers in order to focus on developing software or operating systems, Potter said, but added investors underestimate the role of electronics and software/controls in Wabco products. Ignoring a potential takeover, the analyst still believes investors should buy Wabco to benefit from growth themes like automation and connectivity. Potter said even without the self-driving, connected vehicles trend, he expects Wabco’s revenue-per-vehicle-produced to continue to rise, the European truck cycle to recover following French elections and sees upside in China during the year. He keeps an Overweight rating on the shares. Other publicly traded companies in the trucking and logistics space include C.H. Robinson (CHRW), ArcBest (ARCB), J.B. Hunt (JBHT), Echo Global (ECHO), Expeditors (EXPD), Knight Transportation (KNX), Old Dominion (ODFL), Swift Transportation (SWFT), Werner (WERN) and XPO Logistics (XPO). Wabco rose 0.1% to $121.68 in early afternoon trading. Shares have a 52-week trading range of $84.48 – $126.07. Nike ( $NKE ), a Dow Jones industrial average component, is in focus today after the company announced a new business structure, which involves cutting 2% of its overall workforce. Nike had more than 70,000 employees at the end of fiscal 2016. #Nike intends to boost its revenue to $50 billion by the end of fiscal 2020, with North America making up 40% of that target. Nike announced a new alignment structure called the Consumer Direct Offense, which includes cutting its global workforce by approximately 2%. “Nike’s leadership and organizational changes will streamline and speed up strategic execution,” the company said in a statement. As a result of the new alignment, Nike will reduce its styles by 25% and attempt to cut product creation cycle times in half. Nike also said it will create the Nike Direct organization, which will be led by Heidi O’Neill, President of Nike Direct, and Adam Sussman, Chief Digital Officer. The changes are intended to “streamline and speed up strategic execution,” said Nike in a press release. Its new “consumer direct offense” targets a dozen cities — New York, London, Shanghai, Beijing, Los Angeles, Tokyo, Paris, Berlin, Mexico City, Barcelona, Seoul, and Milan — that are seen accounting for over 80% of its growth through 2020. In April, Nike posted third quarter revenue slightly below consensus expectations and said worldwide futures orders were down 1%, excluding the impact of currency. The apparel maker, however, beat earnings per share estimates for the quarter. Nike is expected to report fourth quarter earnings on June 29. Nike competes most directly in the space with adidas (ADDYY) and Under Armour (UAA, UA). Separately, Under Armour got an estimate cut as one analyst says stores are “likely canceling” product orders. #Susquehanna analyst Sam Poser told investors to sell Under Armour due to poor product segmentation in the moderate channel, which he sees pressuring its top line and margins. The analyst said sports retailers are planning the Under Armour business down because of the poor product segmentation and he said the top line may be pressured even if the Curry 4 sneaker lives up to expectations. Nike (NKE) shares are down 2.7% in Thursday’s trading to $53.18. Qatar signed a deal to buy as many as 36 F-15 jets from the U.S. as the two countries navigate tensions over President Donald Trump’s backing for a Saudi-led coalition’s move to isolate the country for supporting terrorism. The sale “will give Qatar a state of the art capability and increase security cooperation and interoperability between the United States and Qatar,” the Defense Department said in a statement. 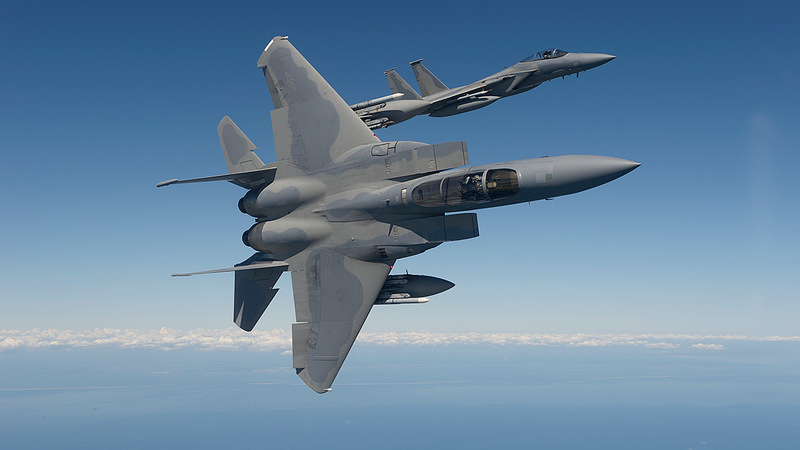 Congress last year approved sale of as many as 72 F-15s in an agreement valued at as much as $21 billion, providing authorization for the deal completed yesterday. But that was before Qatar’s neighbors, including Saudi Arabia and United Arab Emirates, severed diplomatic, trade and transport links last week in a move they said was aimed at isolating the country for its support of terrorist groups and Iran. The F-15 sale highlights the complex position the Trump administration finds itself in, forced to balance its focus on fighting terrorism against regional rivalries between key allies. Qatar hosts the regional headquarters for U.S. Central Command, which includes a state-of-the-art air base the U.S. depends on to target Islamic State. Qatar’s Defense Ministry said the deal would create 60,000 jobs in 42 U.S. states while reducing the burden on U.S. forces. The F-15 accord will lead to “closer strategic collaboration in our fight to counter violent extremism and promote peace and stability in our region and beyond,” the ministry said in a statement. The McDonnell Douglas F-15 Eagle is now owned by Boeing (BA) has been exported to Israel, Japan, and Saudi Arabia. The Bank of England’s Monetary Policy Committee voted by a majority of 5-3 to maintain Bank Rate at 0.25%. The split among Bank of England policy makers widened this month as three officials called for a rate increase, warning that inflation could rise more than previously thought. The Committee voted unanimously to maintain the stock of sterling non-financial investment-grade corporate bond purchases, financed by the issuance of central bank reserves, at GBP 10B. The Committee also voted unanimously to maintain the stock of UK government bond purchases, financed by the issuance of central bank reserves, at GBP 435B. The pound jumped after the decision and was up 0.24 percent at $1.2781. Bonds fell, with the 10-year gilt yield rising 9 basis points to 1.01 percent. Citing the pound’s recent decline, the BOE said inflation could overshoot the 2 percent target by more than previously thought. The three hawks also said that slack in the labor market appeared to have diminished. For the majority, reasons for keeping policy unchanged included slowing consumer spending and economic growth. The outcome of the U.K. vote complicates the prospects for Brexit talks. When the BOE updated its economic forecasts last month, it assumed that Britain’s adjustment to a new relationship with the European Union will be “smooth” — avoiding a so-called cliff edge. 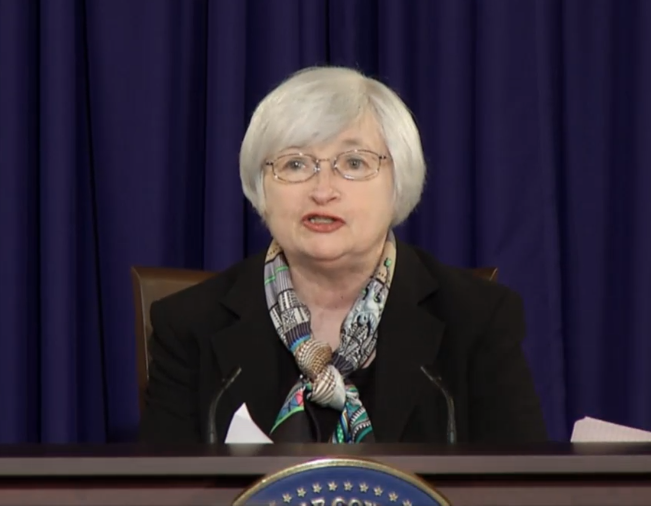 The Federal Reserve said in today’s statement, “Information received since the Federal Open Market Committee met in May indicates that the labor market has continued to strengthen and that economic activity has been rising moderately so far this year. Job gains have moderated but have been solid, on average, since the beginning of the year, and the unemployment rate has declined. Household spending has picked up in recent months, and business fixed investment has continued to expand. The Federal Reserve said in today’s statement, “Consistent with its statutory mandate, the Committee seeks to foster maximum employment and price stability. The Committee continues to expect that, with gradual adjustments in the stance of monetary policy, economic activity will expand at a moderate pace, and labor market conditions will strengthen somewhat further. The median projections of Federal Reserve Board members and Federal Reserve Bank presidents under their individual assessments for the Federal Funds rate at the end of 2017 remains at 1.4% and at 2.1% for 2018, unchanged from the median projections in March. The Federal Reserve announced that all participants agreed to augment the Committee’s Policy Normalization Principles and Plans by providing additional details regarding the approach the FOMC intends to use to reduce the Federal Reserve’s holdings of Treasury and agency securities once normalization of the level of the federal funds rate is well under way. For payments of principal that the Federal Reserve receives from maturing Treasury securities, the Committee anticipates that the cap will be $6B per month initially and will increase in steps of $6B at three-month intervals over 12 months until it reaches $30B per month. For payments of principal that the Federal Reserve receives from its holdings of agency debt and mortgage-backed securities, the Committee anticipates that the cap will be $4B per month initially and will increase in steps of $4B at three-month intervals over 12 months until it reaches $20B per month. 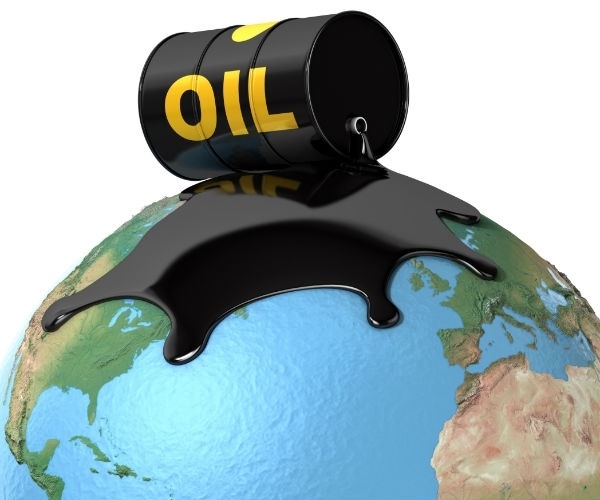 NYMEX crude fell to $44.70 from $46.20 per barrel following the EIA inventory data which showed gasoline inventories increased by 2.1 million barrels last week. The street had been expecting a draw of 500k bbls in gasoline supplies. The EIA inventory data also showed a 1.7M bbl fall in crude stocks. The street had been expecting a 2.5 M bbl increase, though the API reported a 2.8 M bbl increase on Tuesday. The International Energy Agency also said new production from non-OPEC producers will be more than enough to meet growth in demand next year thus offsetting any cutbacks from OPEC. The U.S., Brazil, Canada and other producers outside OPEC will increase output next year by the most in four years, the IEA said in its initial forecast for 2018. U.S. commercial crude oil inventories (excluding those in the Strategic Petroleum Reserve) decreased by 1.7 million barrels from the previous week. At 511.5 million barrels, U.S. crude oil inventories are in the upper half of the average range for this time of year. Meanwhile, distillate stocks were up 300k bbls, versus expectations for a 0.5 M bbl rise. Refinery usage rose to 94.4% from 94.1%. Total products supplied over the last four-week period averaged 20.1 million barrels per day, down by 1.2% from the same period last year. Over the last four weeks, motor gasoline product supplied averaged over 9.5 million barrels per day, down by 1.2% from the same period last year. Distillate fuel product supplied averaged 4.0 million barrels per day over the last four weeks, up by 4.1% from the same period last year. Jet fuel product supplied is up 2.7% compared to the same four-week period last year. 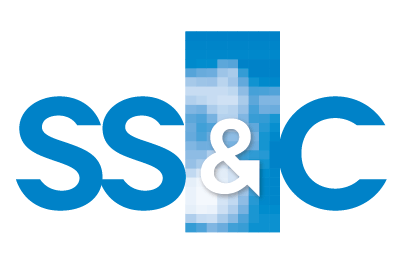 SS&C Technologies Holdings Inc. (SSNC) has recently reached out to several private equity firms to gauge interest in a buyout of the financial software and services provider, reports Bloomberg. SS&C Technologies Holdings, Inc. provides software products and software-enabled services to financial service providers in North America, Europe, Asia, Australia, and Africa. Its products and services allow its clients to automate and integrate front-office functions, such as trading and modeling; middle-office functions comprising portfolio management and reporting; and back-office functions, including accounting, performance measurement, reconciliation, reporting, processing, and clearing. The company’s management team has so far failed to move beyond preliminary talks with buyout firms, which have balked at SS&C’s high valuation, the people said, asking not to be identified as the discussions aren’t public. Shares are trading close to all-time highs at $38.40, giving it a market value of about $7.8 billion. SS&C has previously been under private equity ownership. Carlyle Group LP paid about $942 million to take the company private in November 2005. Carlyle held an initial public offering of the company in 2010, retaining a stake before fully exiting its position in 2013. Brookdale Senior Living is For Sale! Zhonghong Zhuoye Group, which acquired a stake in SeaWorld Entertainment (SEAS) last month, is in discussions to acquire Brookdale Senior Living (BKD), Reuters reports, citing people familiar with the matter. The deal would be the largest takeover by a Chinese group in the U.S. senior care sector, and a test of the U.S. government’s openness to Chinese investments in healthcare services sectors, the report says. Brookdale Senior Living Inc. owns and operates senior living communities in the United States. It operates through five segments: Retirement Centers, Assisted Living, CCRCs Rental, Brookdale Ancillary Services, and Management Services. Brookdale entered exclusive talks with Zhonghong after the real estate and leisure group submitted a bid of roughly $3B, and after Brookdale drew offers from other parties that valued it at substantially below that, the report notes. Brookdale has entered exclusive negotiations with Zhonghong after it made an offer of around $3 billion after receiving offers from other parties that valued it substantially below that, the people said on Tuesday. BKD last traded at $14.49. 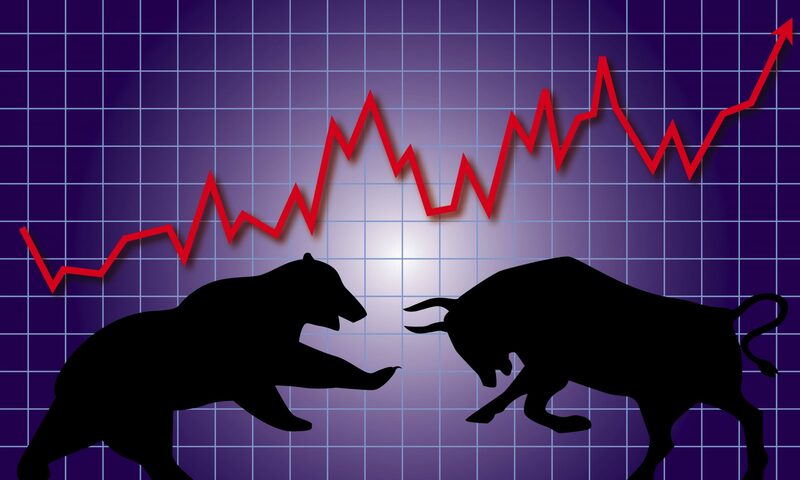 Noting fast-food stocks have recently had a “strong run,” citing factors including fund flows out of retail stocks and into restaurants and positive sales trends in the category, Bank of America Merrill Lynch analyst Gregory #Francfort raised price targets across the space. 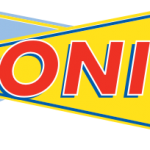 However, he downgraded Sonic (SONC) to a sell-equivalent rating, citing the increasing aggressiveness of McDonald’s (MCD), which the analyst still views as a top pick. Francfort downgraded Sonic two notches to Underperform from Buy but raised its price target to $30 from $27. The analyst said the downgrade is not a call on the quarter, as the company reports on June 22, and he sees limited downside to Q3 and Q4. However, he notes shares are up 29% since March 21 and Francfort is concerned about 2018 earnings as McDonald’s is becoming more aggressive. He believes shares should trade at a discount to peers due to slower unit growth and higher capital intensity. Francfort continues to view McDonald’s as a top pick and sees further upside from aggressive value plans slated for early 2018 and unit economics. The fast-food chain announced a 55% reimage contribution to support a value menu based around $1, $2 and $3 price points, which could encourage franchisees to co-invest in price aggressiveness, Francfort writes. The analyst said McDonald’s is one of the few restaurant companies that can increase franchisee economics through lower price points and can get more aggressive than peers due to higher margins. He added while unit growth for the chain is now negative, McDonald’s continues “to screen cheap” on a relative basis compared to other highly franchised restaurant stocks. 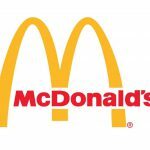 Francfort raised McDonald’s price target to $175 from $165 based on FY18 earnings and reiterated his Buy rating. Other notable stocks in the fast-food space include Domino’s Pizza (DPS), Dunkin’ Brands (DNKN), Jack in the Box (JACK), Restaurant Brands International (QSR), Wendy’s (WEN) and Yum! Brands (YUM). Sonic rose 0.3% to $29.38, while McDonald’s gained 0.8% to $149.65. After hosting Mallinckrodt’s CEO Mark Trudeau for an open Q&A session, Wells Fargo analyst David Maris says Mallinckrodt (MNK) continues to look at a range of strategic options to deliver shareholder value, and that all options, including going private, are on the table. Mallinckrodt develops, manufactures, markets, and distributes branded and generic specialty pharmaceutical products and therapies in the United States, Europe, the Middle East, Africa, and internationally. Management did an “excellent job” in correcting the record following “erroneous” short-seller presentations, Maris tells investors in a research note. Management detailed Mallinckrodt’s relationship with Express Scripts (ESRX) and explained that it is not strained, Maris writes. The analyst notes Trudeau spoke with Express Scripts CEO Timothy Wentworth a week ago about the relationship and that it seems “solid and mutually positive,” despite recent negative comments about Acthar from the pharmacy benefit manager’s Chief Medical Officer. Maris has an Outperform rating on Mallinckrodt with an $83.50 price target. As the Wall Street Journal’s Charley Grant points out on Twitter, Mallinckrodt said last month at a conference that it is exploring options to drive shareholder value. Apple (AAPL) CEO Tim Cook said the company is focusing on developing an autonomous car system in his most detailed comments on the tech giant’s automotive plans after hiring roughly 1,000 engineers to work on ‘Project Titan,’ in 2014, Bloomberg reports, citing an interview with Cook. The company, which originally sought to build its own self-driving car, is shifting its focus to the underlying technology as Alphabet’s (GOOG, GOOGL) Waymo unit has partnered with Fiat Chrysler Automobiles (FCAU) and Lyft to develop the technology and automakers from BMW (BMWYY) to General Motors (GM) seek to acquire autonomous vehicle startups. The iPhone maker had hired more than 1,000 engineers to work on Project Titan, as the car team is known internally, after it started in 2014. Apple secured a permit from the California Department of Motor Vehicles in April to test three self-driving sports-utility vehicles, photos of which emerged several weeks later. A half-dozen vehicles had been surreptitiously testing the autonomous technology on public roads in and around the San Francisco Bay area for at least a year, according to someone familiar with Project Titan. 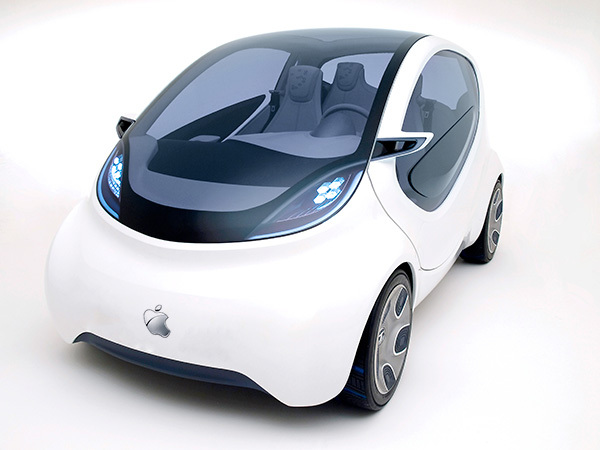 In December, Steve Kenner, Apple’s director of product integrity, wrote a letter to the National Highway Traffic Safety Administration revealing the company’s interest in automotive technology. In the letter, Kenner wrote about the company’s excitement surrounding the potential for automated systems in fields like transportation. Shares to watch include: GOOG, TSLA, AAPL, INTC, and NVDA. U.S. Silica Holdings announced that its Board of Directors has approved the construction of a new, state-of-the-art frac sand mine and plant in West Texas to serve the rapidly-growing Permian Basin. The new facility is expected to produce approximately 4M tons annually and is part of the company’s previously announced plan to add approximately 8M-10M tons of new Brownfield and Greenfield capacity to meet surging frac sand demand. The $225M project will be funded from cash on hand and cash flow from operations and is expected to be supported by long-term supply contracts with leading oilfield companies, which include cash pre-payments. Construction will begin immediately and initial production is scheduled for late in the fourth quarter of 2017. The 3,200-acre site has over 30 years of reserves of fine grade 40/70 and 100 mesh sand with excellent physical properties. “We believe we’ve selected one of the most advantaged sites in West Texas with good availability of water, easy access to Interstate 20 and a location that is equidistant to the hearts of both the Delaware and Midland Basins,” said Bryan Shinn, president and chief executive officer. Shinn added that the Company expects to enter into similar agreements for other capacity expansion projects currently underway. SLCA last tradad at $36.31. Hi-Crush Partners (HCLP) and Emerge Energy (EMES), and Smart Sand Inc. (SND).